Oklahoma inmate Garry Allen (pictured) is scheduled for execution on April 12, despite a Pardon and Parole Board's 4-1 recommendation that his sentence be reduced to life without parole. In an unusual move, Mr. Allen originally pleaded guilty to murdering his girlfriend without receiving any benefit in sentencing, and has testified that he did so to spare his family and the victim's family the trauma of a trial. 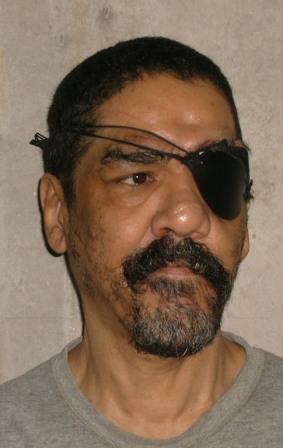 Allen was shot in the head at the time of his arrest. His lawyers have argued that he is not sane and should not be executed because of his history of mental illness and alcoholism. His court records indicate "probable diagnosis is Schizophrenic Disorder, or Anxiety Disorder in a Paranoid Personality," but in 2008 a jury found him sane enough for execution. Oklahoma Governor Mary Fallin has said she has reviewed the case and does not intend to grant clemency. UPDATE: A federal judge has granted Allen a stay to explore issues of mental competency. Oklahoma is appealing the stay to the U.S. Court of Appeals for the Tenth Circuit (April 12, 2012). (K. Fretland, "Expert: Guilty plea rare in Oklahoma case; activists to ask for clemency ahead of execution," Associated Press, April 6, 2012.) See Mental Illness and Clemency.